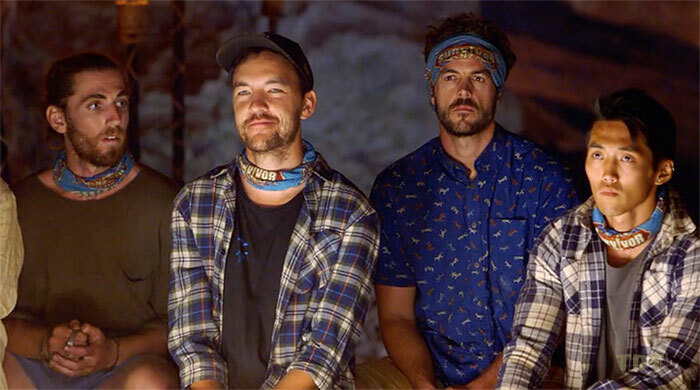 SurvivorNZ: Thailand (2018) - 13th place, 6th out. Voted out in Episode 6 (Day 17). NZ: Thailand Ep. 1 RC: Helps Brad score the winning point, and Khang Khaw wins, 3-1. NZ: Thailand Ep. 1 IC: Helps gather stairs and crosses the maze; Khang Khaw wins again. NZ: Thailand Ep. 2 RC: "Smash & Grab" - Smashes a tiles and retrieves his key; Khang Khaw wins melons. NZ: Thailand Ep. 2 IC: "Shoulder the Load" - Outlasts the entire Chani tribe while holding 60 kg; Khang Khaw wins, 3-0. NZ: Thailand Ep. 3 RC: "Idol Hands" - Loses to Liam twice, and Khang Khaw loses, 10-3. NZ: Thailand Ep. 3 IC: "Deep In Thought" - Retrieves four of the nine puzzle wheels, and Khang Khaw wins big. NZ: Thailand Ep. 4 RC: "Sumo at Sea" - Goes 3-0 for Khang Khaw, and Khang Khaw wins, 10-5. NZ: Thailand Ep. 4 IC: (Chains, bolos) - Sits out (back at camp), as Khang Khaw throws the challenge, loses. NZ: Thailand Ep. 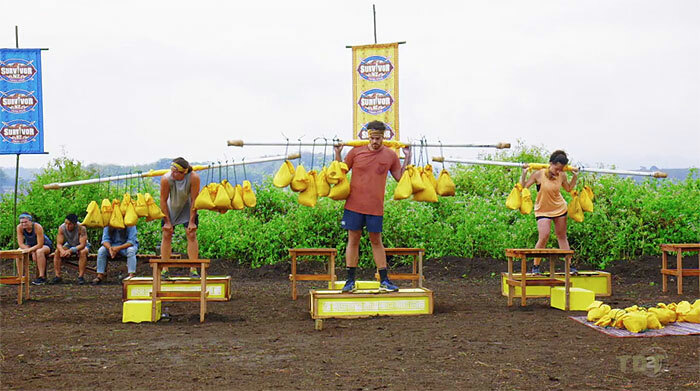 5 IC: "Buoy oh Buoy" - Retrieves Chani's last trap with Renee; Chani wins. NZ: Thailand, Ep. 6: Four votes, from Arun, Dave, Dylan, and Renee (voted out, 4-2-1). Stuff.co.nz (4/9/18): "Survivor NZ contestant Josh Hickford aims to beat contestants like he beat cancer"
"Josh watched season one of Survivor New Zealand while getting radiation treatment for cancer in 2017, it was then he decided he was going to be a castaway for season two. Now in remission, Josh said applying for season two felt like giving cancer a big middle finger. Why should anyone let such a nasty disease control and dictate their life? Josh has made it very clear – he isn’t here for the money, his competitive nature only wants one thing - the title of Sole Survivor. What's your personal claim to fame? I have a world famous man cave. Talk to anyone from Taranaki and they will have heard or been to a ‘party’ in my man cave! It has an array of sporting memorabilia, general man cave stuff and all the games tables to keep everyone entertained. It has be featured on Crowd Goes Wild, All Blacks TV and won several prizes! Plus, some of NZ’s greatest sporting trophies have graced the man cave as well. I also love tornadoes and storms, and I plan on going storm chasing in America later this year. What did you do to prepare for Survivor? I binge watched a lot of Survivor! I haven’t watched a huge amount in recent years so caught up on past New Zealand and Australian series. I also learnt how to make a fire from flint and kindling – a crucial Survivor skill to have! I practiced memory games and puzzles after physically exerting myself, in an attempt to mimic the game situations. Physically, my fitness was at a solid peak before going over to Thailand. I was in the middle of triathlon training so I continued that. I also went cold turkey on coffee three weeks before we flew out! There was to be no three coffees a day on the island. Fair to say going cold turkey isn’t easy! Otherwise, I settled on the party shirts I wanted to take onto the island and tried to stay injury free. Why do you think you should win Survivor? Survivor should be won by someone that really plays the game, like it is globally – I want to win it that way. I have strengths across all three aspects of the game – social, physical, and strategic – which are vital building blocks to becoming the Sole Survivor. However I will need to manage my efforts as I do not want to become a huge threat early on. Endurance is the single most important factor in the pursuit of anything in life, and Survivor is no different. I believe through my life experiences and sheer determination and resilience to win and succeed, I have the endurance required to win this game. If it requires me to go on an Immunity Challenge winning run then so be it. Lastly, I am a survivor already. I know what it takes to survive a life threatening situation. I am not going out there for the prize money, I am going there for the title of Sole Survivor. I am here to play and win that title. So bring it on!"